Lytics Customer Data Platform helps companies execute personalized marketing programs that increase revenue, lower costs and engage customers. 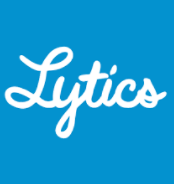 Lytics centralizes customer engagement activity. By combining SendGrid with Lytics, customers can ensure message delivery. Email can be a truly personalized channel, yet few brands deliver on that promise. They deliver the same eNewsletter to their thousands of subscribers. By combining the power of SendGrids platform with the machine learning and cross channel identity management of Lytics, you can create truly relevant and one to one messages that are delivered at the right time to the right individual. Ready to trigger an email to a buyer at the right moment in their journey? Want to treat a customer with an open support ticket differently than a prospect? With Lytics + SendGrid you can. And turn your subscribers into loyal fans and lifetime customers. Connect SendGrid and Lytics to create custom, behavioral-driven user segments from your email and webhook data. 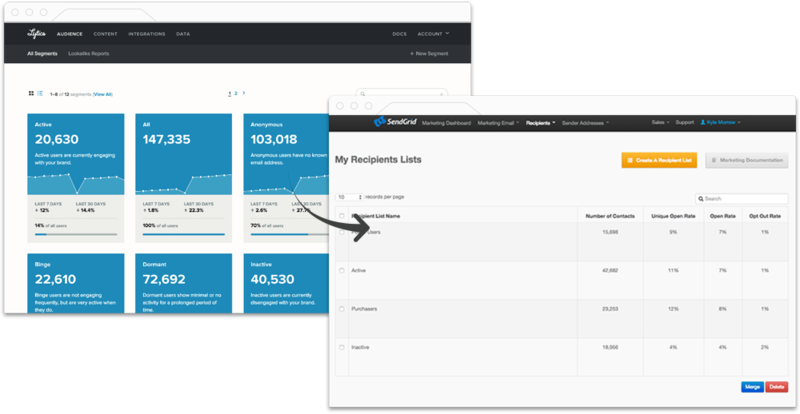 Use these segments to build personalized campaigns based on how users interact with your brand with SendGrid, and the rest of your marketing stack. Connect SendGrid to Lytics in minutes and let Lytics predict and recommend who to send the next message to and what content to use.